A separate bomb was also thrown at the home of prominent Sinn Fein member Bobby Storey. No one was hurt in the blasts, which came after several days of escalating street violence in Northern Ireland. A small bomb was thrown at the home of former Sinn Fein party leader Gerry Adams overnight, the party said on Saturday. Adams tweeted that no one was injured in the attack on his home, but that a car in his driveway had been damaged. He said two of his grandchildren were playing there 10 minutes before the explosion. A second explosive was thrown at the home of Bobby Storey, another prominent party member. Police confirmed they were investigating the incidents and accused dissident nationalist militants of responsibility, while Sinn Fein blamed the attacks on "increasingly desperate and irrelevant groups" in a post on Twitter. 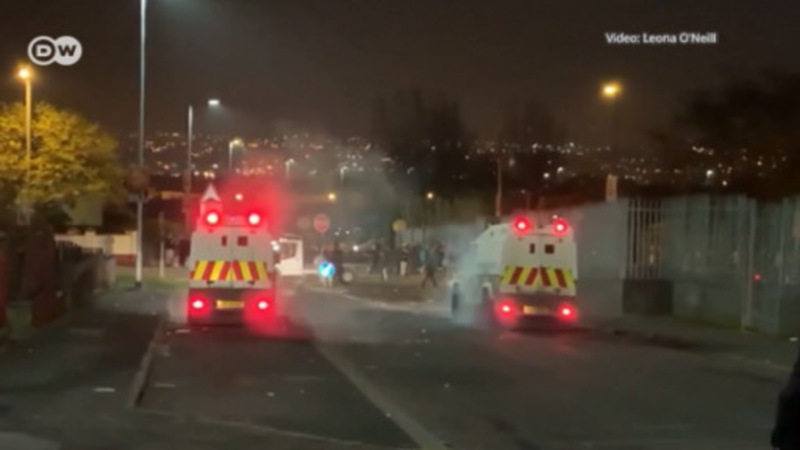 The attacks came after six days of growing street violence in Northern Ireland's second largest city Derry, also known as Londonderry. Police said 74 petrol bombs and improvised explosive devices were thrown during the most recent round of clashes. Dissident nationalist groups who oppose the 1998 Good Friday Agreement that Adams helped broker have been involved in the fighting. The 1998 deal helped end decades of violence between those in favor of uniting Northern Ireland with the Republic of Ireland and those in favor of Northern Ireland remaining within the United Kingdom. Several groups, including the Real Irish Republican Army (RIRA), have launched periodic small attacks in recent years. Adams said he would be willing to meet with dissident nationalists and pro-British groups involved in the clashes to try and help end the recent street violence. Political leaders in Northern Ireland have warned that Britain's decision to leave the European Union (Brexit), and the accompanying prospect of renewed border controls between Northern Ireland and the Republic of Ireland could help dissidents recruit new members. A journalist has been killed in Derry/Londonderry during violent demonstrations in an Irish nationalist part of the city. Police are treating the murder as a "terrorist incident." Police in Northern Ireland arrested two men after a car bomb was detonated in the town of Londonderry. Two other men were arrested on Sunday. Investigators believe the attack was linked with New IRA militants.